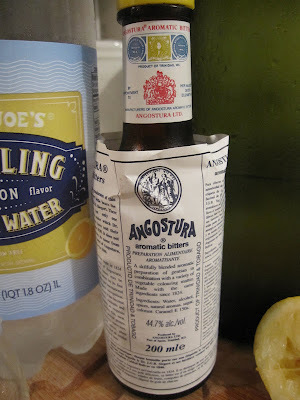 A close up of Angostura aromatic bitters for those of you who don't know what it is... the Good Lord knows I'd never heard of it! Squeeze fresh lemon and lime juice into the bottom of the glass. 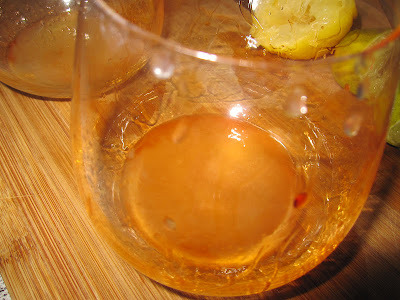 Then gently tilt the glass slightly sideways and turn it in your hands while dripping the bitters down the sides of the glass. I'd say coat it twice. 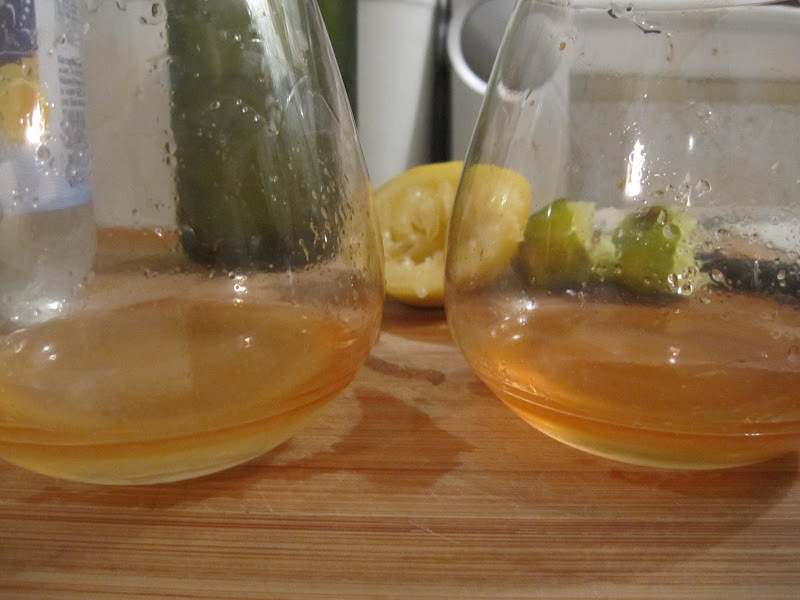 Pour in your fresh simple syrup in the amount to your liking. You can see here in ours the separation between the syrup and citrus juice, so you can see how much we used. 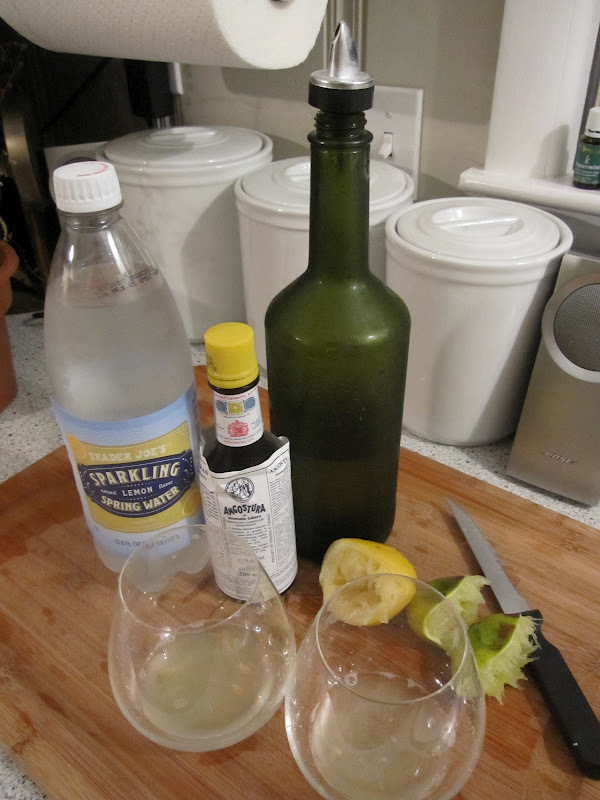 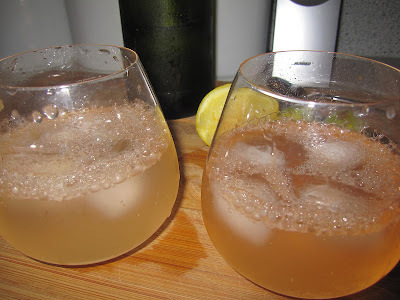 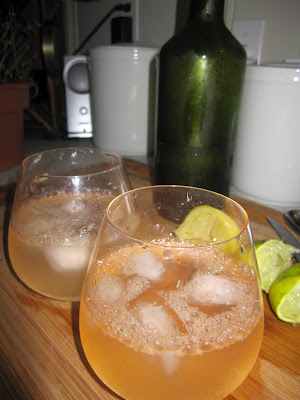 Toss in 3-4 ice cubes and top with the sparkling lemon water... Ta Da! Freshness in a glass... serve with a little lime wedge and a floating raspberry for the fun of it.